2. Anthony DePalma, “Dogged Doctor for Mexico’s Morass,” New York Times, December 31, 1994, http://www.nytimes.com/1994/12/31/business/dogged-doctor-for-mexico‑s‑morass.html. 7. 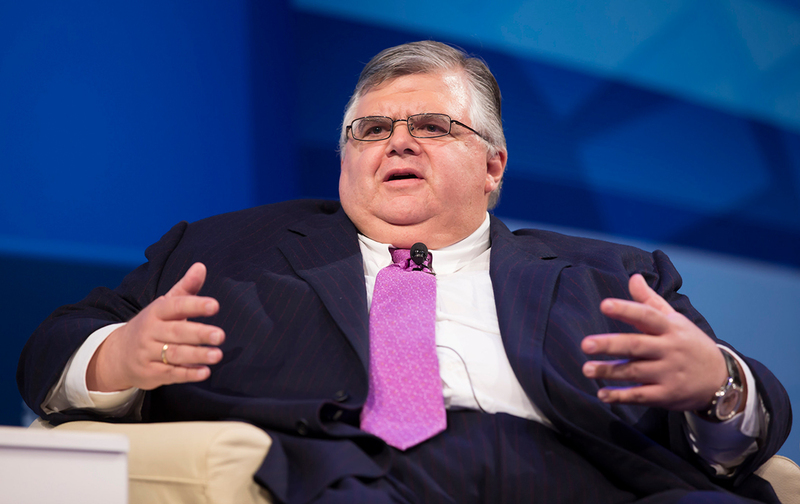 Thomas Atkins and Mike Dolan, “Bank Rules under Fire After Losses and Scandal,” Reuters, January 26, 2008, http://www.reuters.com/article/us‑davos-​baselii-​idUSL2668610220080126. 14. Brian Naylor, “Bush’s Final Budget Proposal: $3.1 Trillion,” NPR, February 4, 2008, http://www.npr.org/templates/story/story.php?storyId=18672648. 15. 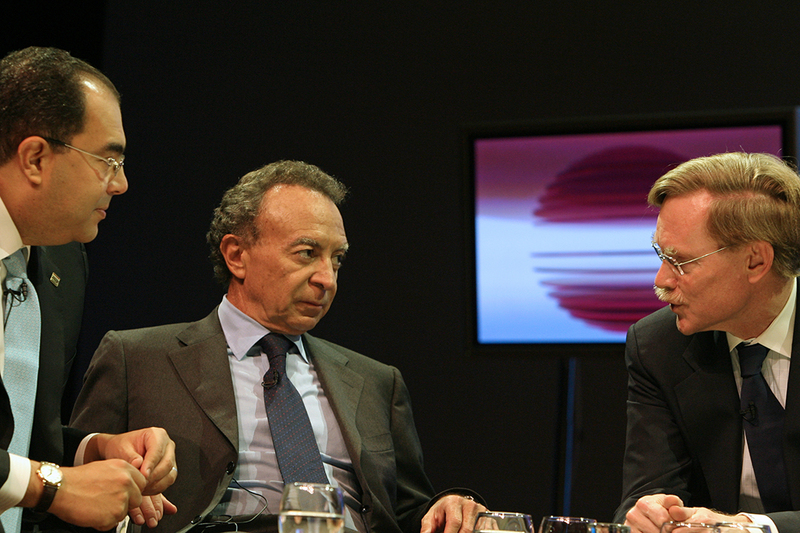 “Bush Says US Spending Plans Will Help Mexico,” Reuters, February 5, 2008, http://www.reuters.com/article/bush-​mexico-​idUSN0521809020080205. 18. “FOMC Statement” (press release), Board of Governors of the Federal Reserve System, March 18, 2008, http://www.federalreserve.gov/newsevents/press/monetary/20080318a.htm. 19. Frank Newport, “Bush Job Approval at 28%, Lowest of His Administration,” Gallup, April 11, 2008, http://www.gallup.com/poll/106426/bush-​job-​approval‑28‑lowest-​administration.aspx. 20. 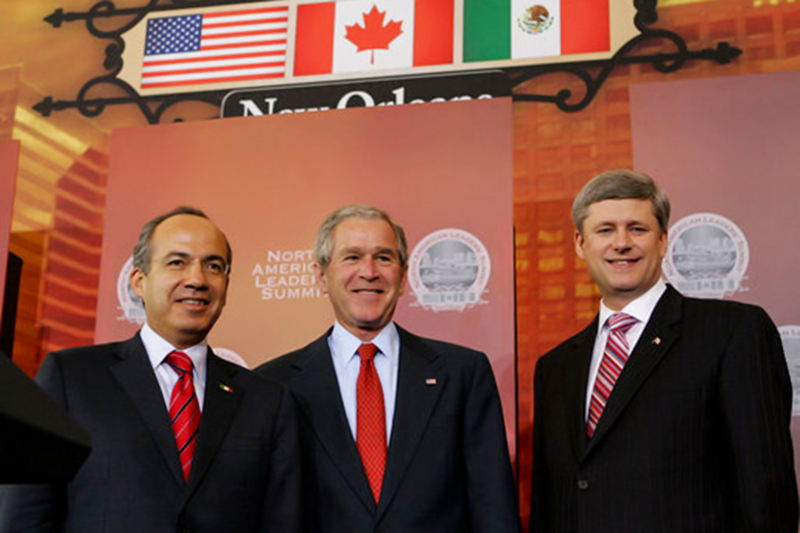 George W. Bush, “The President’s News Conference with President Felipe de Jesus Calderon Hinojosa of Mexico and Prime Minister Stephen Harper of Canada in New Orleans,” American Presidency Project, April 22, 2008, http://www.presidency.ucsb.edu/ws/?pid=77159. 21. “Bush Praises Nafta Treaty,” CNBC Times Video, April 22, 2008, http://www.nytimes.com/video/business/1194817111807/bush-​praises-​nafta-​treaty.html.